First about Jizyah. Again and again, this was a tax like any tax. Persians in the conquered areas were not muslims and so didn't fight in the Islamic armies. However if they chose to do so they didn't pay this tax nor if they were living in border areas. Again and Again It was not like any tax than it was a religious (as can be seen anywhere throughout the ages of Arab Muslim rule) and most fo the times racist ( example of this events of the time of Hajaj ibn Yousef) plus they took 'Gharama' from cities they seized after battles plus there was 'Kharaj' and of course 'Jaziya' and a notable seizure of lands. Although it did raised after the reigns of the first four caliphs but what was happening in those times was no better than above-mentioned, as for example Umar believed that Muslims should leave themselves to soldiering in order to be always prepared and eager to invade more lands and spread the faith i.e. Jihad, and let the former landowners who submitted without fight keep their status, as merely the various taxations I named above would suffice that abundant number of the Arab tribesman receive some kind of monthly salary and thus have enough time and resource to for isntance cross Gibraltar. As for pillaging, Arab armies, like all conquering armies, only pillaged conquered cities and from what we know no mass murder happened in the early conquests though it did happen later. Cities that gave in peacefully, like most Syrian and many Iranian cities, faced no pillaging at all in the early conquests except in Damascus and all the confiscated property and enslaved people were freed after that. As for murdering POWs, again I never said it didn't happen, it did but it wasn't wide spread and was only on the express orders of the Caliph. For the case that you gave, Tustur settled peacefully then rebelled that is why some POWs were killed and the city pillaged, but another source, Futuh Al-Buldan says that all those enslaved were later freed on the orders of Omar and returned to their homes. And I say it happened on the express orders of the caliph or many time NOT! Slaughters committed by Abu Musa Asha'ari in south western Iran. Slaughters of the Iranian prisoners of war by Khaled ibn Walid so-called Seif al Allah at the early stages of the conquest of Hira. Massacres commited by the governors of Khurasan and Hyrcania, also in Khwarazm and Transoxiana. Like Qutaiba ibn Muslim. there's a narration that Arab Muslims massacred the literates of the Khwarazm in order to hinder any future resistence. There is another narration that one of Umayyed caliphs (I dont recall the name now) for probing their sword ordered them to be tested on Byzantine POWs. So you again are wrong. heh! Finally for the Duhqans, their power was reduced well after the conquest. After the conquest they were badly needed to administer the conquered areas and had excessive powers. After the Arabisation of administration by the time of Abdul-Malik he decided to strip them from such powers gradually. Sawad was settled and local government strengthened. Courts were established at the Kurah or county level and the need for the Duhqans was all but ended by the time of the Abbasids. You may wish that things were as easy that you suggest here, no? Those Dehgans who accepted the holy arab yoke and gave in without fight, just kept their land but including the various heavy taxations plus in the times of uprisings and especially times of Umayyid arabs, caliphs and their mandates and governours according to many sources seized a notable property or land without any pretext. 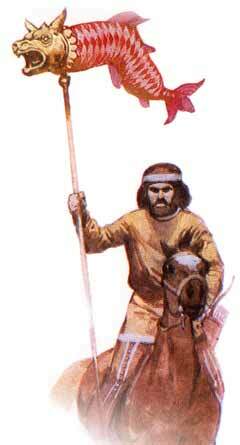 From the early ages of Arab invasion Arabs started to seize the lands they could. (According to Istakhri the richest family amongst the landowners of Parsa - the very heart of Sassanids- was the family of Hanzala ibn Tamim from Bahrain). The Muslim need for administration is another discussion and is not only confined to the Dehgans. Muslims until the times Abdulamalik ibn Marwan and of Hajaj in Iraq had to use Iranians , their system of administration and their language for it, cause they weren't able to do it after about a half century after their successful invasions. Again wrong. There werent actualy so much needs for Dehgans and Abbasids themselves being ascended to the throne of Arab empire with notable help of Iranians while tolerating extensivley of Iranian Dehgans, and it was not all but ended heh. In their times many Dehgans sometimes turned out to be powerful rebellion leaders and some Dehgans cooperated the Abbassid to supress some revolts. Obviously this debate is going in circles but I will answer the old points you raised for the last time otherwise I will answer any new material. First about Jizyah. Jizyah is according to all sunni jurispudence schools, since shiasm came in the 3rd century and Ali used the sunni views, is a fixed yearly payment that is equivalent to zakat (which is only taken from muslims) and the conditions for eligibility for zakat are the same as the conditions for the eligibility for jizyah. The people who pay Jizyah are guaranteed certain rights, religious and civil rights, most important of them all is security since they are exempt from military service. If the people eligible for jizyah are not provided with any of these rights, even a single one of them, or are required to do things that they are not supposed to do because they are dhimmies, like military service, they don't pay jizyah and taken it from them is illegal. Read if you like Ahkam Ahl Al-dhimmah for ibn Al-Qayyim and he is an extremist when it comes to these rules. Dhimmies are eligible for Zakat and other social payments if their religious authorities don't provide them with these services. As for Kharaj, well go to the books most famous of them all Al-kharaj for Abu Yusuf and you will find that it is a simple tax that everyone pays, muslims and none muslims alike. finally in this subject you said that these were religious rulings and I say of course, Islam in those days was both the state and a religion so what is the problem? Second, you portrait the Arabs as if they were the only people in the world who sacked cities and pillaged and massacred their inhabitants. Should I remind you about the long and glorious history of massacres and sackings done by every army in the world from the Achaemenids and Assyrians to the 21 century Americans? Have you forgotten what the Byzantines done to Ctesiphon just a decade earlier and what the Sassanids done to Jerusalem and Anatolia before? Actually when we return to history Arab conquests are probably one of the least if not the least dirty of all conquest movements till today. Except for the Arab world, which was already Arab well before the conquests begun, the rest of the Islamic world kept their cultural identity, except religion of course, intact. Iranians still celebrate Nuruz more than they celebrate Ashura or any Islamic festival for that matter. They still read Attar and Ferdowsi more than they read the quran or hadith and still yearn for the empire they once had which is a legitimate desire. Hardly any cleansing of the population. As for what happened in Iran during the conquests well read history well before going on judging it. It is the 7th century not the 21st. In the 7th century when you submitt, then you revolt and kill the garrison, you lost your right to live, as unfortunate and unhumane as it is this was the rule of war back then and those unfortunates suffered the consequences that they fully knew about. The Mongols did it after and the Persians before weren't so generous with the christians of Jerusalem. Finally for the POWs killed and you mentioned particularly the first three incidents, could you please tell me where I could find them because I just wasted one hour searching for them in my books and I found nothing. And Qutaibah didn't conquere Khwarism nor even reach it, he went to Ferghana vally and Shash regions. Hope I have resolved the issues of differences and I will be pleased to reply on any question. Except for the Arab world, which was already Arab well before the conquests begun, the rest of the Islamic world kept their cultural identity, except religion of course, intact. Is that entirely true though? You're obviously more well-read on this subject than I am, but I recall reading Hourani claim that the lands conquered by the Arabs were only gradually converted to Islam. So gradually in fact, that even centuries after the initial conquest Muslims still remained a minority many places. Well according to my definition of the Arab world the definition is true. My definition is that the Arab world is all the countries in Arabia+Iraq, Syria, Jordan and Palestine. Egypt and the rest of north Africa are still in my opinion not Arab though they speak mutually intelligible Arabic, at least in Egypt, Sudan and Libya. Algeria and Morocco are not Arab states, they are Arab Speaking states much like the francophone states. The rest of the Islamic world was indeed gradually Islamized but not Arabised and local culture still plays a key part in their lives even if it contradicts Islam and the example above is obvious enough. Going in circles? I think obviously not as I don't agree with you on this, every time there is a point and I try to explain, however you may do whatever you wish. History can not be as it is desired like nice story. For Jaziya what matters is its role in the Arab invasions more precisely about territories held by Iranians. "also spelled Jizyah, Arabic Jizyah, head or poll tax that early IslÄ�mic rulers demanded from their non-Muslim subjects. IslÄ�mic law made a distinction between two categories of non-Muslim subjectsâ€”pagans and dhimmis (â€œprotected peoples,â€� or â€œpeoples of the bookâ€�; i.e., those peoples who based their religious beliefs on sacred texts, such as Christians, Jews, and Zoroastrians). The Muslim rulers tolerated the dhimmis and allowed them to practice their religion. In return for protection and as a mark of their submission, the dhimmis were required to pay a special poll tax known as the jizya. The rate of taxation and methods of collection varied greatly from province to province and were greatly influenced by local pre-IslÄ�mic customs. In theory the tax money was to be used for charitable purposes and the payment of salaries and pensions. In practice, however, the revenues derived from the jizya were deposited in the private treasuries of the rulers. The Ottomans usually used the proceeds of the jizya to pay their military expenses. A convert to IslÄ�m, in theory, was no longer required to pay the jizya. The Umayyad caliphs (661â€“750), however, faced with increasing financial difficulties, demanded the jizya from recent converts to IslÄ�m as well as from the dhimmis. This discrimination against converts was a cause of the AbÅ« Muslim rebellion (747) in KhorÄ�sÄ�n and helped to precipitate the downfall of the Umayyads." Actually the amount of the islamic taxation which is here important is in the days of the Arab invasions, Umayyaids etc. the other point is the policy behind taxes like this which aimed into a forcible but silence conversion of the subjects of other religions. And you portrait the Arabs as if they were the saviours of the world?! Wrong again, cause I'm not giving portrait of Arabs rather than telling a bit of what they've done, which is of course according to islamic primary sources. Yes the Arabs were like other invaders and plunderers, but millions of people today are not awrae of it and millions of Arabs inauagurate those invasions, the key figures, still curse those who resisted Arab invasions. And Arabs did but mere plunder like for example Mongols but organized, afterall interesting is the particular deeds in their invasion of Iran ( that of course nowadays is being seriously studied all over the world, shedding light upon the obscurities they caused) their cultural supression policies and their uncaused hatred toward Iranians which showed itself in the very images they had of Iranians even before starting their invasions. About brief capture of Jerusalem by Iranian armies with alliance of Jews. this comparison just shows some of your weakpoints about 7th century world events, as it was not a religious war rather than political and the aim was not to fight Christianity but weaken the Byzantines and a stage in the Iranian Byzantine wars. Ctesiphon was not sacked only some of its whereabouts to push the Sassanian new king to accept the desired peace agreement of Herakelios. And it was Arabs who sacked it(who thought of this city as home to evil and thus didnt choose to reside in it) just to extinguish their fire of racist envy of Iranians and more importantly to take its treasury for the good of establishing their own Arab empire. Ibn Khaldun said: " before the Arabic invasion of Iran, they (Iranians) possessed vast lands with a lot of populace, yet after that Arabs subdued them by means of sword, they faced such ravage and spoil like they never existed. Because it is the natural tendency of the Arabs to seek to live their lives relying on the head of their spears and if they ever attain either power or rule, then they would know no limit for their habit of plunder, therefore the civilization of their conquered disappears and this was exactly what happened about Iran"
Without commenting on the above citation, I'd say that one can see that how was the Arab view on their invasions, conquests etc. Al-Masudi told of the denomination of the Battle of Jalula, which took place little after sack of Ctesiphon (Some Arab muslims under order of Umar pursue the fleeling Iranians composed of soldiers, inhabitants of Ctesiphon i.e. women, children and the elderly and Arabs reached them, broke their resistence and massacre many, enslaving many of the people - most of the women prisoners were sold by incredible low prices in Medina- Thus after that bloody massacre the battlefield started to be called Jalula which in Arabic means "covered" due to the plentifulness of the dead bodies of the Iranians. Very off topic and I don't see any points in responding this very not professional saying. I know all of this what you're trying to imply, I know the differences between 21st and 7th century. But still many people still support the holiness of the Arab invasions. About the sources you can finally go and read al-Dinavari, Tabari, Tarikh-i-Bukhara, al-Baladhuri and others. I told you this argument is going in circles. I quote to you one of the most distinguished jurist in Islam and a guy who is extremist even by the standards of those days and you go and bring an encyclopedia article. Second about Jerusalem, it happened under the watch of the Persian, with their support and definitely with direct involvment. Saying otherwise is absurd. Even the most disciplined army will plunder whatever they could and saying the Sassanid soldiers stayed on on the sideline while the richest city in Byzantium was being sacked is just absurd in addition to the fact it contradicts what is known as a historical fact, the true cross was taken to Ctisephon which is enough. Also, quoting a self hating 14th century historian for what happened in the 7th is wrong. Ibn Khaldun hated the Arabs, nomads to be particular, and just reading his history about the history of north Africa particularly about the Hilali migrations one just couldn't but notice how much he hated bedouins and glorified the Berbers but that is way off topic. As I told you I spent over an hour earlier reading primary sources that are older than Al-Masudi or Al-Tabari and found nothing of what you said, Al-Baladhuri, Ibn Khayyat and others quoting ibn Ishaq and Al-Waqidi. the debate is the quality of performing Jaziya (which is a very pejorative law) in the history, and its aim to plunder (there were other taxes in addition to Jaziya for non Arabs plus they seized many lands from their owners in the early days of invasions and during the times of Umayyaids (to which I gave a very good example of Hanzala who were the greates landholder in the region of Parsa -the very region the Arabs commited many dirty deeds just to make sure that Sassanians will not grow and defend their land, thus halting the plunder cause it was the home of the Sassanids). The reason why I quoted that Britannica article is, as I was saying, that it was more fluent than your sayings for the readers here in order to get more familiar with this special taxation system of Arabs and the important events regarding it in golden times of Arabic empire like time of Hadjaj ibn Yousef. I personally don't know if it is still practised or not. "About brief capture of Jerusalem by Iranian armies with alliance of Jews. this comparison just shows some of your weakpoints about 7th century world events, as it was not a religious war rather than political and the aim was not to fight Christianity but weaken the Byzantines and a stage in the Iranian Byzantine wars." Also, quoting a self hating 14th century historian for what happened in the 7th is wrong. Ibn Khaldun hated the Arabs, nomads to be particular, and just reading his history about the history of north Africa particularly about the Hilali migrations one just couldn't but notice how much he hated bedouins and glorified the Berbers but that is way off topic..
oh I didn't know that he was self hating. "Arabs dominate only of the plains, because they are, by their savage nature, people of pillage and corruption. So when they encounter any difficulty or obstacle, they leave it alone and look for easier prey. And tribes well-fortified against them on the slopes of the hills escape their corruption and destruction, because they prefer not to climb hills, nor expend effort, nor take risks. Whereas plains, when they can reach them due to lack of protection and weakness of the state, are spoils for them and morsels for them to eat, which they will keep despoiling and raiding and conquering with ease until their people are defeated, then imitate them with mutual conflict and political decline, until their civilization is destroyed." To inofrm you I should this is kind of saying that is not Ibn Khaldun's own words but the words that according to Arab tradition of Hadith according to some right or wrong backs to prophet Muhammad himself. despite all of this his works are considered primary sources and I don't think there were any take for the miserable conditions of Iran of those days. As for many primary muslim sources Iranians are regarded as group of heathen and the authors' views are absolutely against them yet they are important sources for Sassanian era. The Banu Qainuqah, were expelled because, a Jewish goldsmith, tied a Muslim women's dress to the floor, so when she stood up she became naked. A muslim man attacked the goldmsith because of this, and a riot started. The Banu Qainuqah, killed some muslims and locked themsleves in their forts. The muslim army surrounded them, and they eventually surrendered. They were expelled from Medinah, with only what they could carry on their backs. No body was "slaughtered". Many converted, not out of cinviction, but out of oppurtunity. They saw the muslims as dominant poiwers, and if they were muslims, they would get oppurtunites and etc. The Banu Quraizah, were in treaty of friendship with the muslims, but during the Battle of Ahzab, they turned on the Muslims and attacked them from inside. When the Battle finished, the Muslims turned on the betrayong Jews. They put them under seige, and and they surrendered. Due to their treachery in the pivotal moment, the fighting men were killed, and the others expelled, and their property seized. The Banu Nadhir, killed two muslims, attempted to kill the Prophet and were treachorous against the muslims. The punishment meted out, was written in the Torah, the men killed, the rest turned into slaves, and their property seized. All of these tribes were treachorous against the muslims, they betrayed the treaty of friendship, and they fought against the muslims. Other Jews were left alone. The Jews of Yemen, survive till today, unmolested, they migrated to Israel in 1948. The Jews were given special treatment by the muslims, as they are the people of the book. Islam was mostly spread by peace. Iran remained Zoroastroin for 200 years after they were conquered. Slowly they converted to islam, through out those 200 years. Syria, Egypt etc. converted to Islam, because they saw it as liberation from the Romans. In India, the Buddhists, and the lower caste hindus converted to escape persecution from the Brahmin Hindus. Indonesia, and Malysia, and Maldives, Africa, Islam was spread by Traders and missionaries. No massacres took place in Spain. The christians were worse than the muslims in tolerance. In the medieval ages, Europe was the worst place to live, if you were not christian. They killed Jews, Muslims Pagans etc. They are the violent religion. Spanish Inquisition, Massacres of Muslims, Holocausts, etc. Keep in mind none of those things are commanded in the bible and those people chose to do that of their own free will. Nazis didn't persecute Christians. Their persecutions were based on ethnical and racial belonging. The Arab conquest of Persia makes me want to cry every time I think about it. So many Iranians beheaded and our glorious culture stained forever. As opposed to the Persian conquests of pretty much every land nearby before and after the Arabs, which of course did nothing to hurt their culture. It was an empire made by the sword and it died by the sword. The Persian empire never died. It kept on going untill 1979, it just had an islamic stain on it. Persian Empire or Chinese Empire don't exist as a single entity across the history. There are persian or chinese civilization-culture, which show from time to time a polytical face which we call empire. There were sucessive persian and chinese empires, in plural, borning and diying. Well if you weren't wearing such expensive hats we wouldn't have been after your heads. Duh!